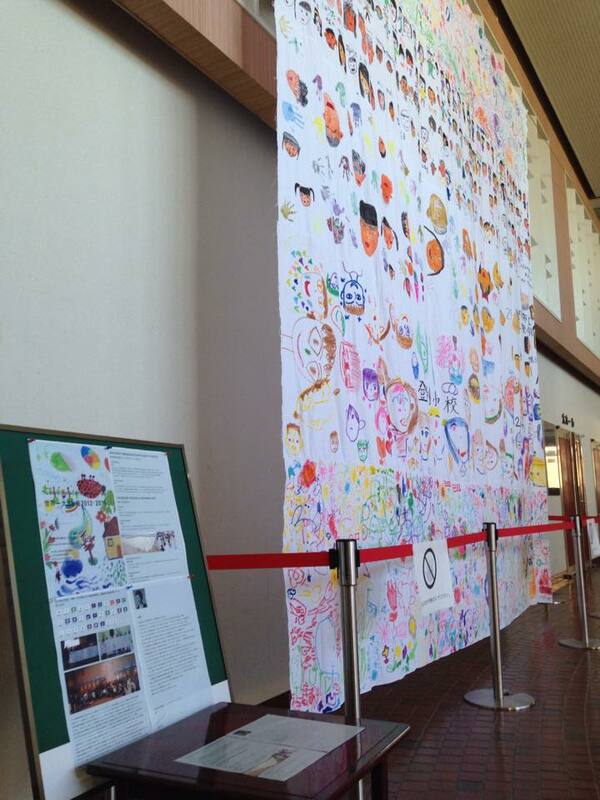 The Biggest Painting in the World 2020 in Noboribetsu City was exhibited at the Entrance Hall of Noboribetsu Civic Center. 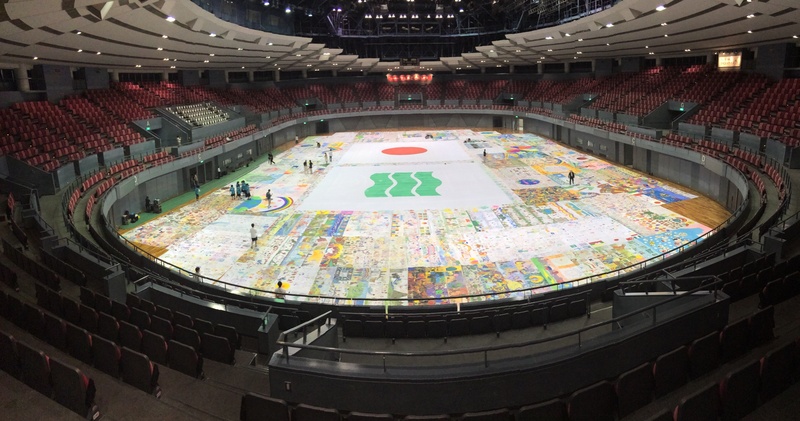 The Biggest Painting in the World 2020 in Noboribetsu City was completed by sewing together 2 paintings by the children of Koropokkuru-no-mori Kindergarten, 1 each by the pupils of Noboribetsu Primary School, Horobetsu Higashi Primary School, and Horobetsu Primary School. 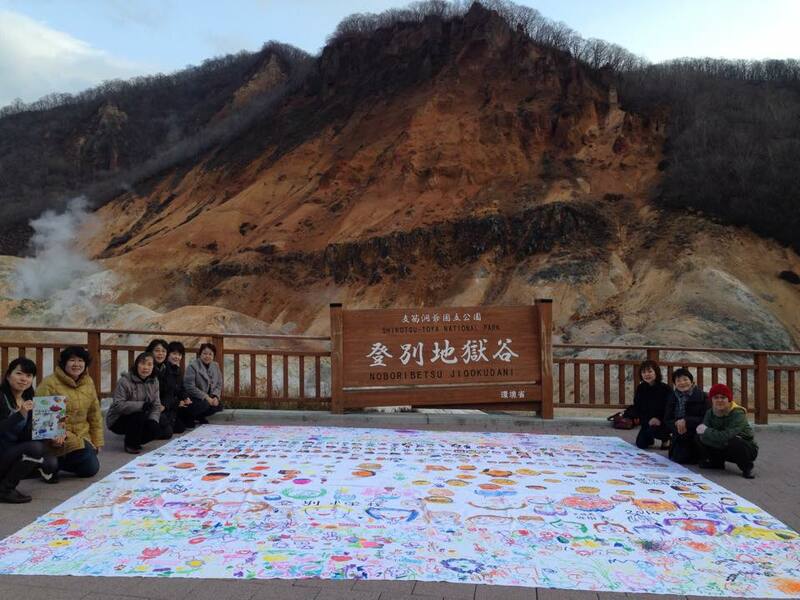 We had a ceremonial photo taken in front of the crater of Noboribetsu Hot Springs with the mothers who did the sewing. One of five pieces of the Biggest Painting in the World 2020 was painted in Noboribetsu Elementary School in Noboribetsu City, Hokkaido. 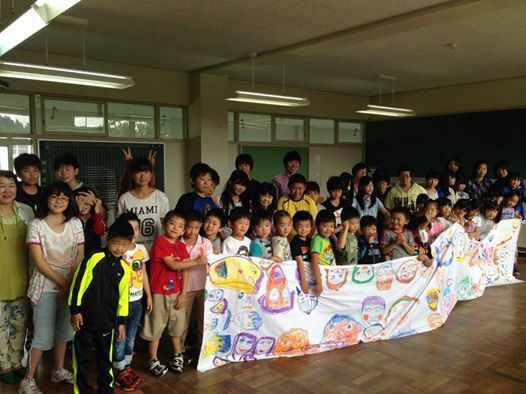 Tomoko Shirata, one of the representatives of Hokkaido, introduced our project to this school. 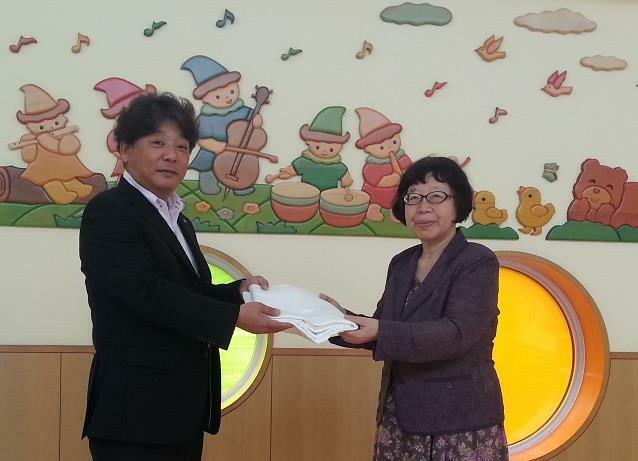 Visited the Korobokkuru kindergarten, Noboribetsu City, Hokkaido, with Ms. Shirata and handed the cloth of the Biggest Painting in the World to a director teacher.